Every athlete knows proper hydration is a key tenent to peak performance. In mixed martial arts, where every pound before weigh-in counts, athletes regularly adjust their weight by putting their bodies into severe states of dehydration. Due to the pressure to make weight the athletes of MMA are among the highest risk athletes to suffer from the deleterious and possibly fatal effects of dehydration. Many fighters have used IV hydration to quickly rehydrate during the precious 24 hours between weigh in and fight night. However with the USADA taking over as UFCs anti-doping enforcement agency and the subsequent ban on IV hydration, dehydration has become a real and serious risk for fighters everywhere. Let’s be clear that IV hydration is not the end all be all of rehydration. Exercise Physiologists have been studying the differences between oral and IV hydration since the 80’s. Most if not all studies have shown that oral rehydration is the preferred method of hydration, given the athlete has the time to sip, sip and sip. A particularly well-done study conducted by the University of Connecticut (J Appl Physiol (1985). 1997 Mar;82(3):799-806) showed that when athletes were dehydrated by the same amount and were then split into a group of IV Rehydration and Oral Rehydration, the performance between the two groups after re-hydration was equal. There was no statistical difference between the two groups with regards to performance. However, when the athletes were asked to rate their sensation of thirst, the IV group actually felt thirstier than the Oral hydration group. The exact reason for this isn't completely understood, but the likely reason is the oral sensation of drinking. When liquid passes through the mouth it stimulates receptors that relay to the thirst/hydration centers of the brain that liquid is indeed being ingested. This stimulus is absent during IV hydration. The reason MMA athletes have gravitated towards IV hydration is that they only have 24 hours before the fight, and with IVs in one to two hours they immediately feel better. When they feel better quicker, they have more time to mentally prepare instead of feeling terrible the day before sometimes the biggest fight of their careers. If you have never been severely dehydrated before, it’s an absolutely terrible and evil place. The dehydrated body lives in world similar to the body aches and lethargy of influenza, and the mind experiences the ripping headache/light sensitivity and inattentiveness of a proper hangover. Now imagine feeling this way the day before a fight. The oral re-hydrator has to drink, sometimes several liters of rehydration liquid, before they feel the same effects. This could take hours, or even half a day. Boxing and wrestling are the only other major sports to expect its athletes to endure these constraints. In all three “combat” sports, the pressure to perform is tremendous; and athletes are driven to continually disobey every tenent of exercise physiology. The fact is that fighting dehydrated is detrimental to performance and can be explained through some simple heart mechanics. The heart is an engine, and in many ways it behaves like an automobile engine. It has intake, valves, and exhaust. The hearts output, or amount of blood it pumps, depends on several factors. One of them of course is prior training. Like any muscle, you have to regularly stress and load the heart for it to build the necessary proteins and machinery to extract oxygen from the blood to beat at 200 times a minute for three to five rounds without failing. Another major factor is the amount of blood you have in your body. The heart obeys something called the Frank-Starling Law, which in essence says heart muscle will contract harder, or pump more blood, the more it is stretched. Think of the heart like a balloon; the more it’s filled up the louder the pop will be. The amount the heart is filled up with blood is termed “pre-load”. 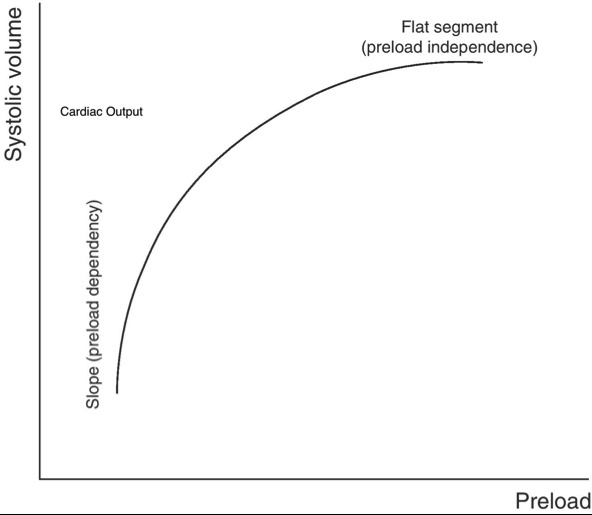 The Frank-Starling Curve, or the relationship between pre-load and cardiac output is not absolutely linear because at some point the heart will actually be stretched too much, but it’s very close. The opposite can also be said, that when there is less “pre-load”, such as when a body is dehydrated, the heart is not filled as much and loses its cardiac output. The exercising heart is incredibly sensitive to changes in blood volume during dehydration. If a fighter is dehydrated as little as 2% of his body weight, that’s 4lbs in a 200lbs fighter, it has shown to decrease performance by 5%. If is a fighter is dehydrated by more than 5%, or 10lbs in a 200lbs fighter, performance will decrease by as much as 30%. Some of this performance decline is due to perceived fatigue and a quicker rise of body temperature, but the majority is due to a decreased cardiac output. When the fight is on the line and that hamstring needs all the oxygen it can get to synch in the winning triangle choke, being hydrated prior to the fight is absolutely vital. Before the USADA IV ban, a combination of IV and oral hydration returned a fighter back to a normal state of hydration the quickest. Now that IV hydration has been banned, what is the best way to hydrate post weight in and pre-fight? The science of sports rehydration is a complicated one, and like the pharmaceutical industry it has many corporate interests and research at play. However there a few guiding principles to keep in mind. Sweat contains electrolytes and these should be replaced. The electrolytes and concentration of sweat varies depending on exercising heat and humidity conditions, but the predominate electrolyte of sweat is Sodium. A good rule of thumb is to estimate Sodium loss and replete as needed. Roughly every pound of sweat contains 550mg of Sodium. Thus if a fighter cuts 10lbs of sweat pre-weigh-in, they are down 5.50 grams of Sodium. In the subsequent 24h the fighter should recoup that Sodium, either from oral rehydration or from their favorite meal or snacks. Before the ban an IV could do it in 1.5 Liters of normal Saline or 45min. In the medical tents of the Ironman triathlon, chicken soup is a popular choice. I’ve personally seen lethargic athletes rise from the grave like Lazarus after a cup of broth. Commercially available rehydration fluids should be a component, however in order for them to be palatable they contain a large amount of sugar for a relatively little amount of sodium. The highest concentration formulation of Gatorade contains 845mg/L of Sodium, thus our 200lbs fighter would have to intake almost 6L to recoup his Sodium loss. This may not be feasible, and due to the high sugar content would likely cause intestinal upset. Below is a list of high sodium fluids, most high endurance athletes prefer chicken broth or tomato juice. Whatever the choice, solid meal/snack or hydration fluid, pay attention to the product labels and sodium content. Most of the above will also replete the secondary components of sweat, such as Chloride, Potassium, and other minor components. A second rule of thumb is to never over hydrate past your pre-cut weight, especially with low Sodium content fluids such as water. Rehydrating with only water is dangerous and can cause a serious condition of Low Sodium called Hyponatremia that can lead to brain swelling and death. Death by water is a real thing. Dehydration can cause death not only through Hyponatremia but also through a process called Rhabdomyolosis as was tragically the case with Yang Jian Bing on December 10th. Rhabdomyolysis occurs in exercise from extreme overheating or when severely dehydrated muscle suffers from premature breakdown. The heavy muscle proteins pour into the circulating blood and clog kidney filtration systems leading to acute kidney failure. At the same time ruptured muscle cells also release Potassium, an electrolyte predominantly kept inside cells. The damaged kidneys are not able to filter the massive Potassium release leading to cardiac arrthmyias and ventricular fibrillation/cardiac arrest. The same physiologic mechanism is used during lethal injection; except the prisoner is deliberately administered a large overwhelming injection of Potassium (while in a medically induced coma). Lastly, obey your thirst. The human body is a marvelous machine and has evolved over millions of years, thirst is the body’s exquisitely sensitive hormonal response to dehydration. If you are thirsty, you need more fluid. Remember rule 2: don’t drink past your pre-cut weight. The post IV ban UFC world has made rehydration more difficult, but not impossible. Don't fight dehydrated, it will harm performance. Know your pre-cut fighting weight and know how much water/sweat weight you have lost, replete the Sodium losses with your choice of rehydration technique or meal, don't hydrate past your pre-cut weight, and titrate thirst with your choice of fluids.